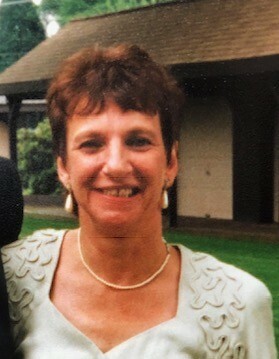 Monson- Nancy M. (Nothe) Garon, 70, died unexpectedly, Friday, November 16, 2018 surrounded by the love of family. Nancy was born in Palmer, July 1, 1948, to the late Everett "Skip" and Thelma M. (Cleveland) Nothe. She was a graduate of Monson High School class of 1966. Nancy was hardworking, and for many years she worked at Springfield Molders in Monson and then TTM Technologies in Stafford Springs, CT. Nancy was a member of the Quaboag Riders Ladies Auxiliary and the American Legion Ladies Auxiliary. Her greatest joy came from the love of family and friends, especially her granddaughters. She was thoughtful, always putting others first, and never forgot a special day or an event. Nancy leaves her son and daughter in-law, Brian and Lori Garon of Monson; loving granddaughters, Emily and Hannah Garon; her sister and brother in-law, Carol and William Chapman of Monson; nephews, Gerald, Keith and Scott Beaulieu; great nephews, a great niece and cousins; and many others who considered Nancy family. Visiting hours will be held Tuesday, November 20, 2018 from 5-8pm in Lombard Funeral Home 3 Bridge St. Monson, MA 01057. Burial will be held privately in the Spring. In lieu of flowers memorial contributions may be made to Monson Summerfest, PO Box 113, Monson, MA 01057.